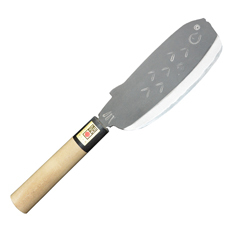 Sakai forged knives are a Japanese kitchen knife made in Sakai City, Osaka. 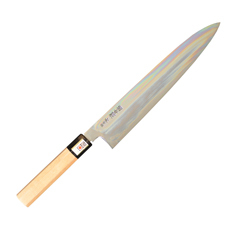 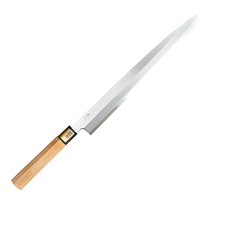 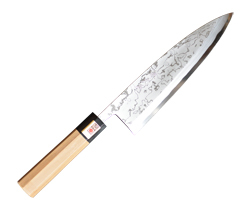 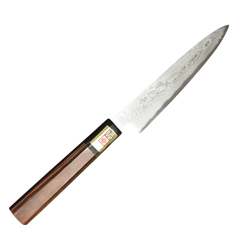 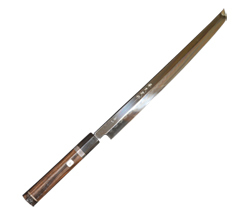 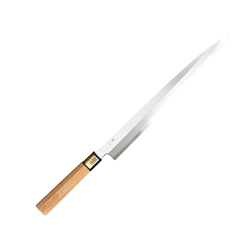 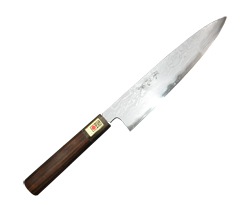 Most of them are used by professionals because of its sharpness of the blade in Japan. 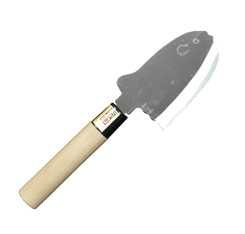 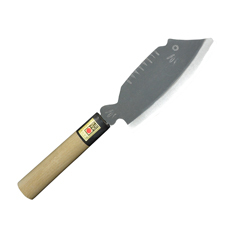 The single-edged “Awase” knife, which is produced by forging together the soft iron and carbon steel, is the basic one. 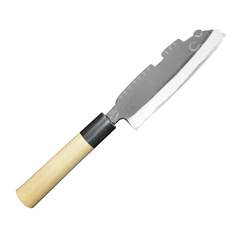 There are also a double-edged “Sanmai” knife, pure carbon steel “Honyaki” knife, multi-layered “Suminagashi” knife, black-finished “Kurouchi” knife and others. 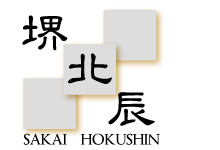 Copyright ©2015 IKEDA TANRENJO All rights reserved.